Comfortable clothing - skirts and dresses not recommended. Camera & video equipment at pilot's descrection. 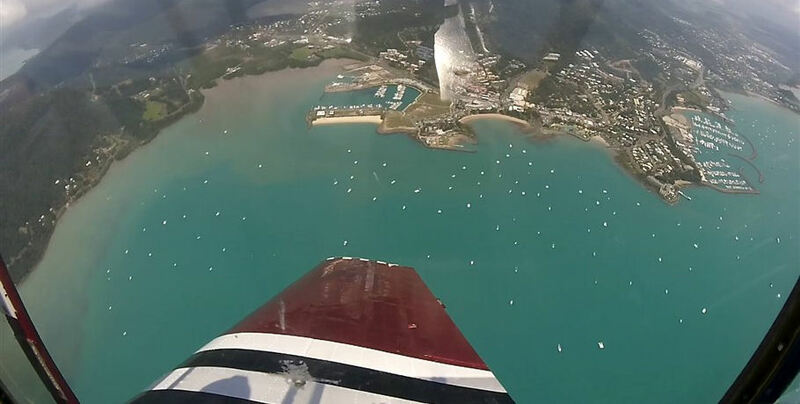 CQ Adventure Flights offers an experience unlike any other in the Whitsundays! This local Airlie Beach aircraft charter company hosts a Russian Yak- a Russian Fighter Pilot trainer still in production and demand today. 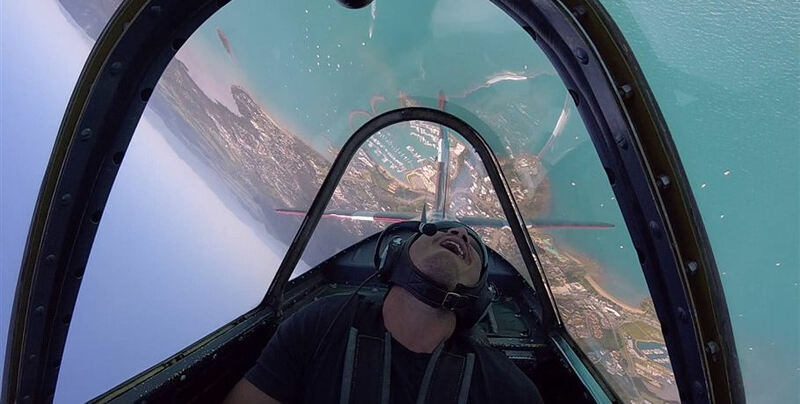 The 1990 model Russian Yak runs on a 360hp Vedeneyev Radial engine and performs aerial acrobatics over the Coral Sea to the delight of passengers and witnesses alike! 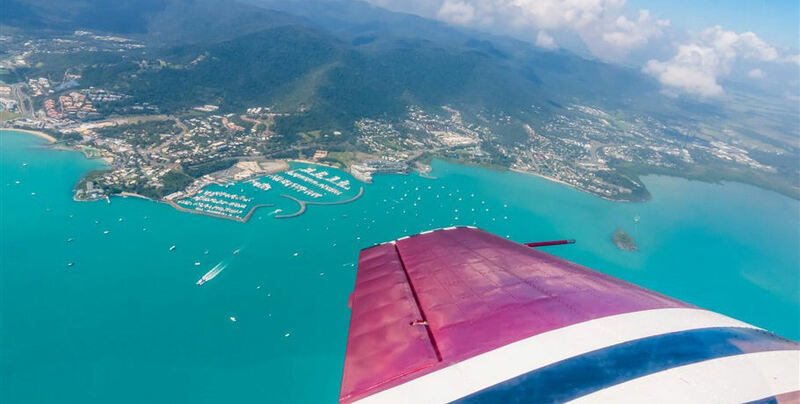 She will show you incredible views from her cockpit as well as steal your breath as she speeds down the Airlie Beach foreshore at an incredible 300km per hour! The Russian Yak will depart from Shute Harbour Airport and climb to 2500 feet in an incredible 90 seconds! Then it’s time for a different view of the Whitsundays- INVERTED! 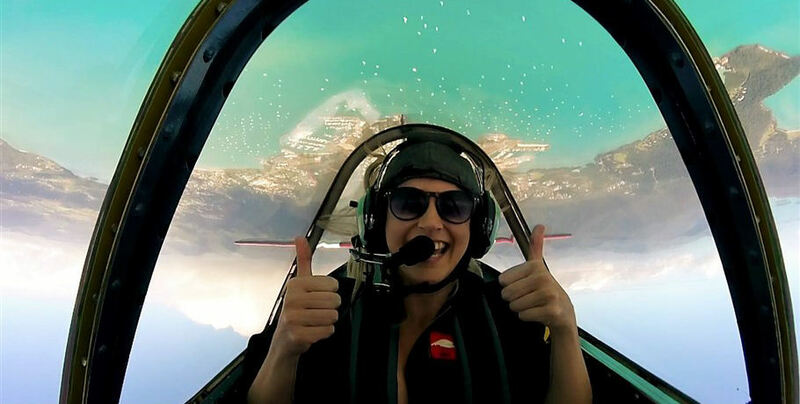 Hang by your straps and feel the push on your chest as you pull upwards of 4G and whirl, dip and roll across the beautiful Whitsunday sky. COME GET SOME! This advanced package will show you what the Russian Yak can really do. 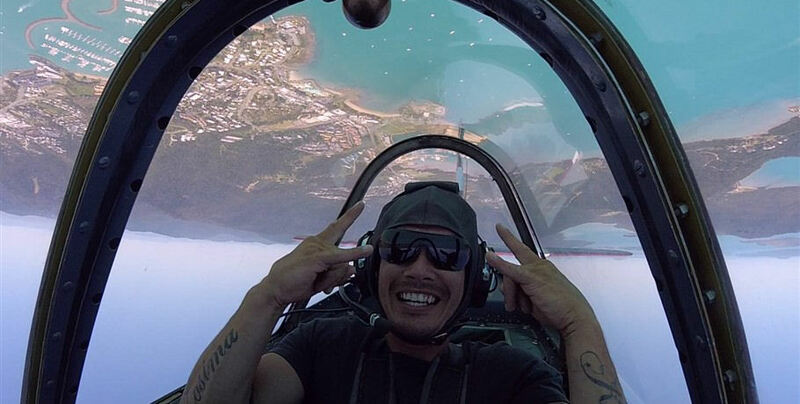 You will get a feel for what it’s like to be a fighter pilot and experience the pressures of 5G aerobatic flying- all against the stunning backdrop of the Airlie Beach foreshore! This is probably the closest you will ever get to a proper WWII Dogfight! Your mission, if you choose to accept it, is to climb rapidly to 3500 feet and report back about enemy movements over the iconic Whitehaven Beach. QUICK! 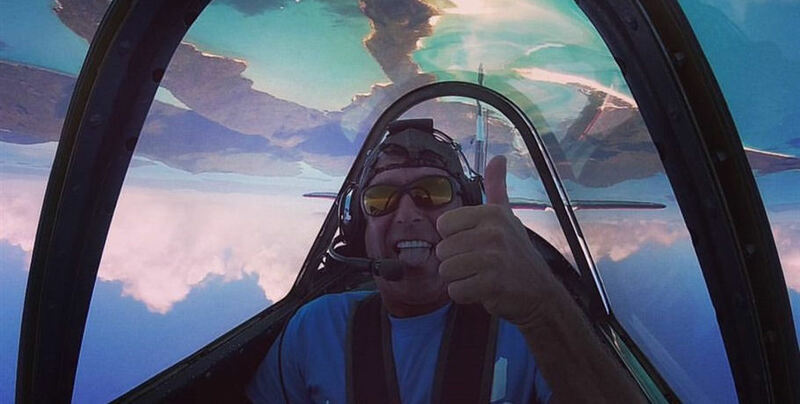 You’ll have to invert to avoid them, but don’t forget to smile for the camera! 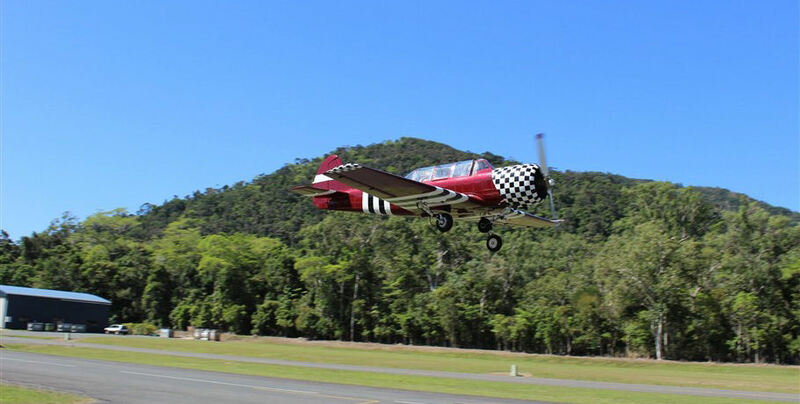 This popular flight will give you the ride of your life- all in the beautiful location of the Whitsundays! 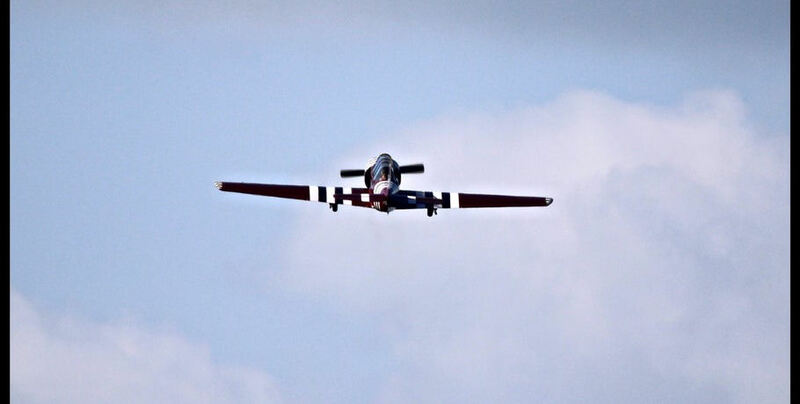 Flight routes are dependant on Aerobatic Package chosen, please read General Information for for package options. Flight times are an approximate indication only, add 20 minutes for total tour experience.All prices are per person and are inclusive of goods and services tax.Flight routes and prices are subject to change without notice.All flights are subject to prevailing weather conditions.100% cancellation fee applies for bookings cancelled within 24 hours prior to departure.